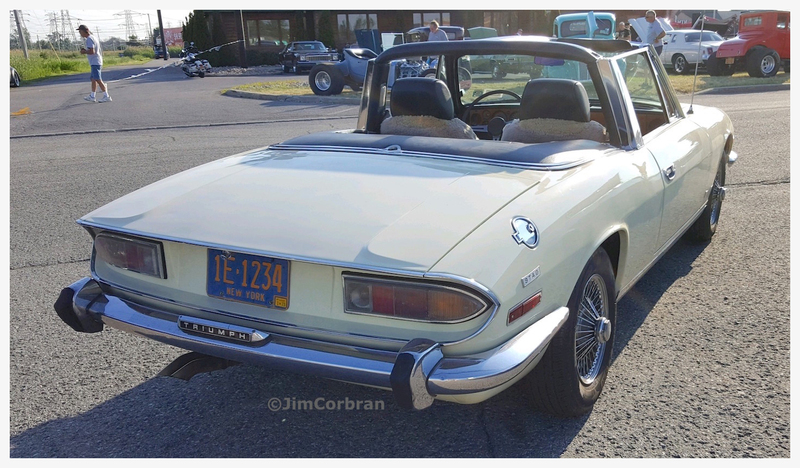 Some sources report that this 1971 Triumph Stag is one of only 2,871 which were imported into the United States during the car’s eight-year run. 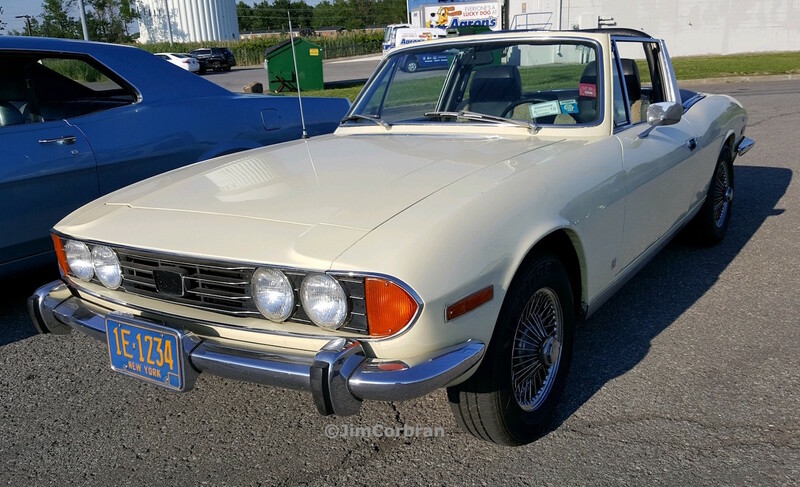 The Stag was designed to be something for Triumph drivers to move up to from their Spitfires and TRs (and maybe snag a few Mercedes-Benz SL owners along the way). The British brochure for 1974 told us the Stag “…makes light work of long-distance travel and reduces the frustrations of city driving.” The four-passenger touring car’s roll bar was structural; a removable hardtop was also offered. Saw this one at a Texas Road House cruise night in Tonawanda.